Valentines Day is fast approaching so its time to get those gifts sorted! Fragrances is one gift that any lady in your life would love, no matter what their age, as long as you know what type of scent they like. I am a massive fan of fresh and fruity fragrances and am always on the look out for scents that have great lasting power and luckily I have found that in these fragrances. These two perfumes smell incredible and would make perfect gifts for this Valentines Day. 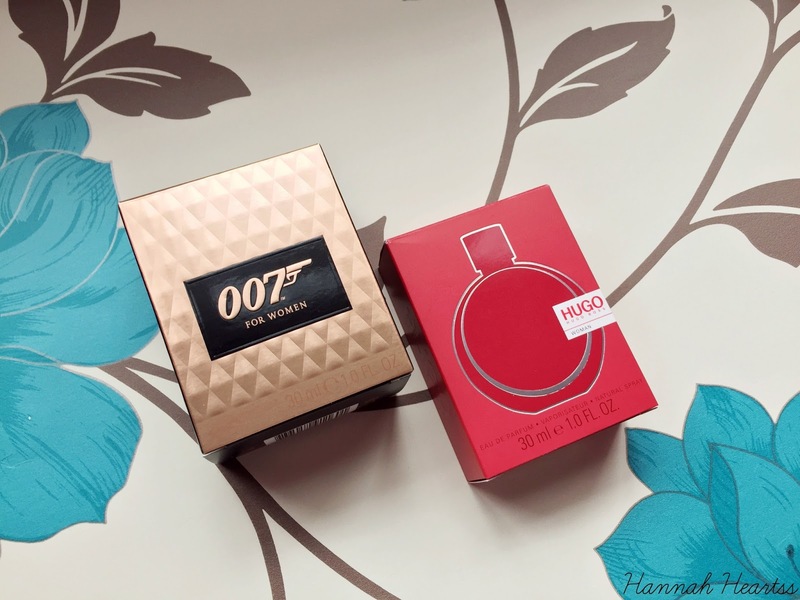 007 for Women* is a new fragrance release and it is officially available to buy today! I am so happy that is fragrance has finally been released, the male James Bond scents smell great and I always wanted a version for myself. The bottle is incredible, I love the black bottle with the rose gold accents, so beautiful. The bottle does make me think of Bond even if it didn't say 007 on the front of the bottle. This is a lovely oriental scent with a seductive feel. With top notes of black pepper and rose milk, base notes of sandalwood, cedar wood and hearts of blackberry and white jasmine. All of those notes work so well together and I have fallen in love with this perfume. When I sniff the fragrance I pick up notes of Vanilla, musk and some fruit which is heavenly. This would be the perfect Valentines Day gift for any Bond lover, I love the movies so I would be so happy to receive this on Valentines Day, if I didn't already own it. This scent is available in 30ml, 50ml and 75ml with prices ranging from £19.99 to £33.99. 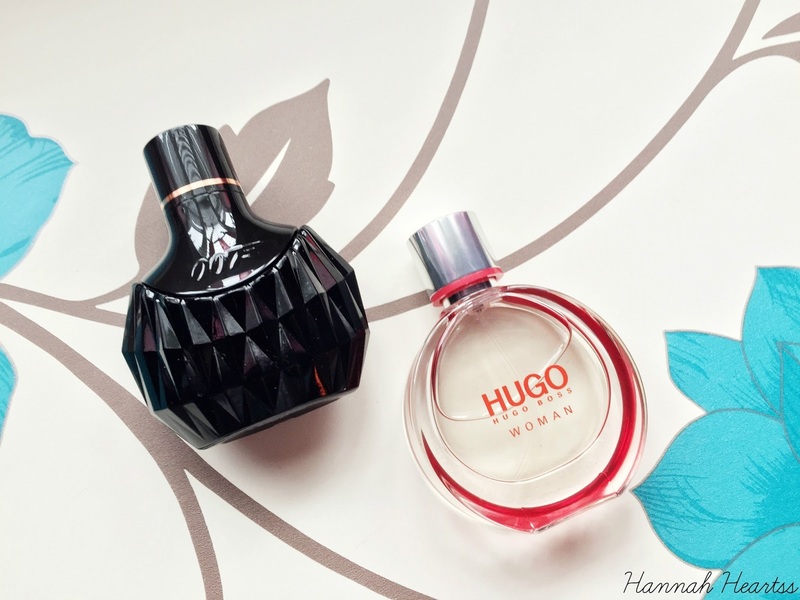 Hugo Woman* is being relaunched for Valentines Day. This is a fruity floral fragrance with top notes of boysenberry and mandarin, heart notes of jasmine sambac, black plum, iris and black tea. Finished off with sandalwood, cedar and amber. This scent definitely has a slight masculinity to it which I really like as it is different to almost all of my other fragrances in my collection. The bottle is very classic and reminds me of the Chanel perfumes. I think that almost ladies would enjoy this fragrance so would be perfect to gift this Valentines Day, I have had so many compliments when I wear this scent. This scent is available in three sizes, 30ml, 50ml and 75ml with prices ranging from £29.99 to £48.99. There is also a shower gel and body lotion of the same scent which would go great with this fragrance this Valentines Day. What fragrance are you going to be wearing this Valentines Day?